I did it. I joined the gym. I am no stranger to being an athlete just haven’t moved in a meaningful way in a LONG time so I felt like fish out of water. I had my first day evaluation with the trainer. We sat for over 30 minutes talking about my goals, discussing the process to meet the goals, what commitments I am willing to make, etc. Then it hit me, this is just like the conversation I have when I meet with a student for the first firearms lesson. The questions are the same, although I take it one step further with firearms training by asking what are you willing to do to learn a new skill that will improve your mindset and might even save your life? What a trip to be on the other side! I can compare every experience of walking into a gym as someone might feel walking into the gun range. People watch you move around with a bit of distrust in their eyes. You don’t know how anything works or the order to do things. You’re sweaty, get short of breath, might be sick to your stomach, and if you are like me… you cry a little. Boy, I did not disappoint! I couldn’t get the front door open — it was stuck! I got in the way of another dude trying to check in, looked out of place with my yoga pants and Shell Yeah tank top and my slightly dirty range shoes. Not many people made eye contact with me and if they did I got that side-eye that I was worried about. I almost died after trying to do 10 sit ups, sweating, breathing heaving… ready to cry, hitting everything on that checklist above. As I was watching another lady doing her squats, the trainer pointed out she has only been there for 3 months and look at what she has accomplished. In the middle of feeling some hope, I had a moment of panic that I have to buy a special belt and I don’t have the right shoes, and I don’t look like her, and and and… I almost gave up and thought I would just stick to the safe elliptical machine and not really commit to the “process,” but just do something few times a week to justify the carbs I like to eat! Yes I was freaked out, and yes it was hard — but what would I tell my student at the gun range in the exact same moment? Exactly what the trainer told me: You are doing great, this will get easier, this is only the first day, you are LEARNING. We circled back to what the end goal for me is and that is to be healthy. I don’t have to be a bodybuilder, I don’t have to do Spartan races, I don’t have to do anything, but if I want to I can! Have an evaluation or take a private class. It’s always great to have a baseline. You might be starting fresh, might need a tune up, or maybe ready for what’s next and learn new skills. Having an evaluation by a professional instructor is so valuable correcting bad form and setting goals. Set the Goals! Why do you want to learn about firearms? If it is just because there is a gun in the house and want to understand storage and safe handling, then great! I wish every household in America would participate in a safety course. If you want to carry for self defense, set that intention and then do the work to develop a gun carrying lifestyle. If you want to participate in action shooting sports, set the goal to show up at a least one match a month and learn the sport. Just pick a place to start. Do the work and commit to the process. For example, if carrying a gun for self defense is your goal, don’t show up at the range and plink every time. Plinking is like using the elliptical; it is ok to have that as part of the program, but the real work is done in the strength training. Make sure your time at the range is meaningful with a thoughtful plan of drills and exercises that will help you build a good self defense mindset AND skillset. 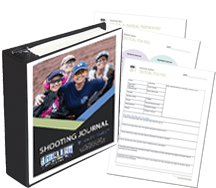 Keep your Shooting Journal and track your progress. Keep showing up! One lesson, an occasional trip to the range, dryfire every few months is just like showing up to the gym and eating right for the month of January and expecting to have results all year long. Marksmanship and safe handling of firearms are perishable skills. It is easier with a tribe. Make friends at the range, join a local chapter or the eChapter of A Girl & A Gun, and participate in matches or classes. You will learn faster what gear and equipment is right for you and what you really need vs. what is fluff. You are more likely to show up when you feel like you belong and then remember what it was like when you were new. Don’t give the side-eye to the newbie. Lift her up and help her along! The good news is that I made it through Day One at the gym and made some decisions on my fitness goals for the year. When I go back next time, I will assimilate a little more because I know more and can do better each time, and I’m sure that in no time I will fit in. I am making eye contact with every other scared chick I come across at the gym AND the range. This is how I will build my tribe. 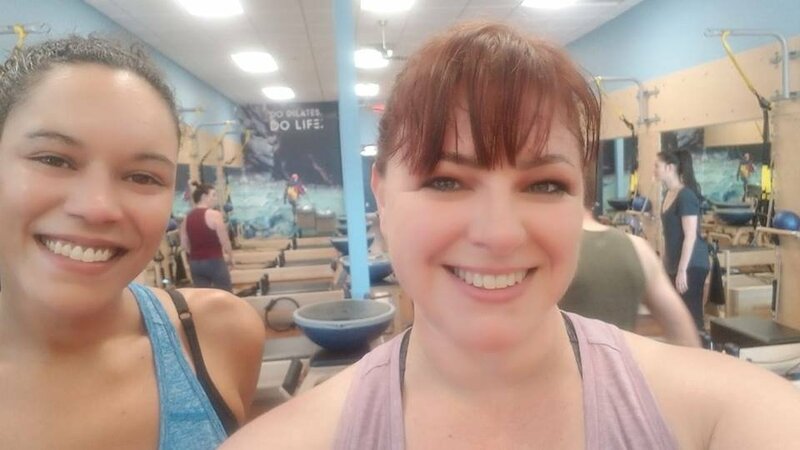 I eventually settled into a different fitness studio a few days later, one that was more inline with how I wanted to spend my time working out and tied back into my roots as a dancer. I am so grateful for that trainer taking the time to talk me through that first step, and ultimately helping me find my way to my new fitness tribe. 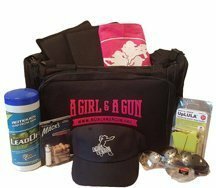 If you have made that first step into the range, talked with an instructor or range employee, and are feeling like there is something more waiting for you, just know that A Girl & A Gun is here to be your shooting sister tribe. Come find us!